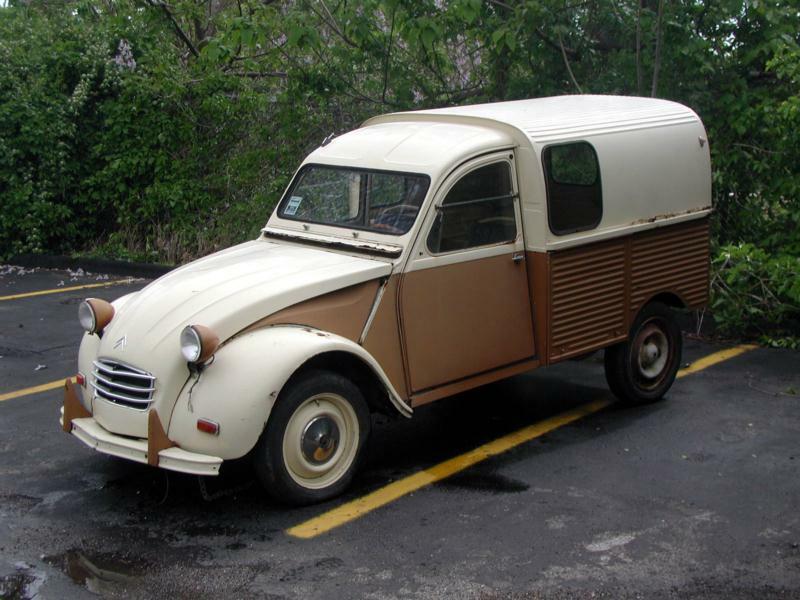 Citroen’s 1948 2CV (for deux chevaux, or two horsepower) was completely different from its prewar predecessor. Introduced at the 1948 Paris Motor Show, it was constructed of very thin steel, had an air-cooled twin-cylinder engine of 375cc and 9hp, and was intended for mass appeal. Inboard front brakes and four-wheel independent suspension, with longitudinal coil springs and inertial dampers by each wheel rounded out the mechanicals. 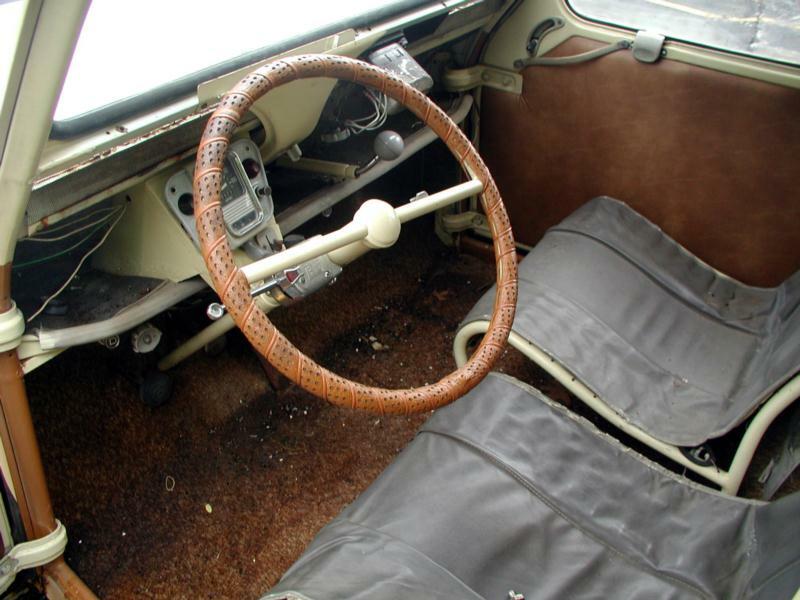 Inside, the seats were deckchairs and the gearshift stuck out of the dash like an umbrella handle. The curious design continued throughout, as the canvas sunroof on early cars extended all the way to the back bumper and the wiper was driven off the speedometer cable (the only instrument). If the car is not in motion, the thought seemed to be, what use is a wiper? The first 2CVs were a huge sales hit, and were all gray in color with suicide front doors. The 375cc Model A lasted until 1953, at which point it was replaced by the 425cc AZ, AZL and AZLP, which ran until 1960. The model evolved slightly through the 1960s, with a smooth hood replacing the ripple bonnet (1960), the appearance of a 602cc engine (1963), the introduction of front-hinged front doors (1964), and the use of rear quarter windows (1965). The 425cc engine was bumped to 435cc in 1968 and the two engines made up the 2CV4 and 2CV6 through the 1970s and into the 1980s. Disc brakes followed in 1982. Production of the 2CV was moved from Paris to Mangualde in Portugal in 1988 for the car’s final two years, but production finally ended in 1990, assembly of the 2CV took place at factories in Levallois-Perret (France), Vigo (Spain) and Forest/Vorst (Belgium), just to name a few. Several interesting variants of the 2CV were offered during the model’s run, including the 4x4 Sahara. Produced from 1960 to 1971, the car carried an engine both fore and aft to power all wheels. 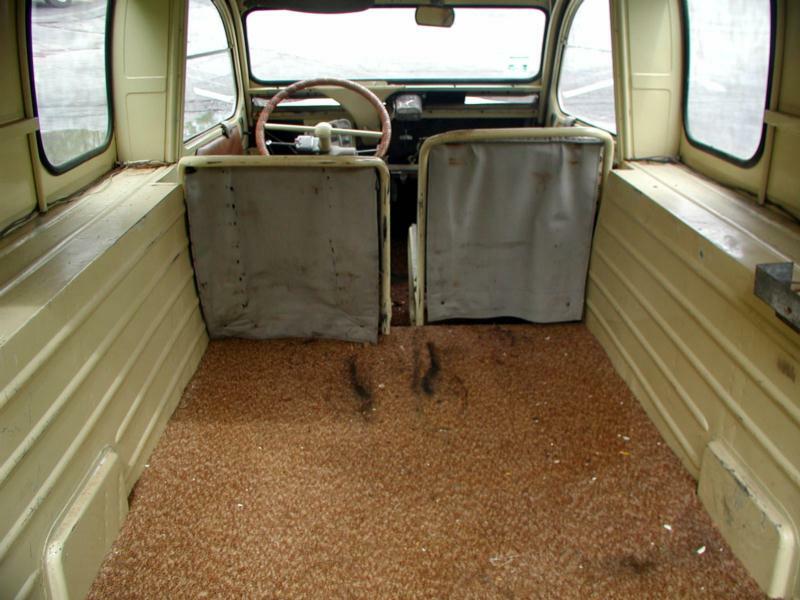 Corrugated, boxy vans were also produced, but typically led hard commercial lives and are quite rare today. The black Charleston, with gray, yellow, and maroon side panels, was produced in the 1970s and 1980s and is easily identifiable due to its unique color scheme. About 5,000 black and maroon Charlestons were imported new in 1985-86, typically fitted with older VINS. Today the Citroen 2CV is beloved as a classic French icon. It is beloved for its simplicity, which LJK Setright called "the most intelligent application of minimalism ever to succeed as a car." The “Tin Snail” gets 40+ mpg, can be surprisingly comfortable, and lead to frequent conversations with perfect strangers. The car’s flat floor, light weight and front-wheel drive means it can ably travel on a variety of surfaces. 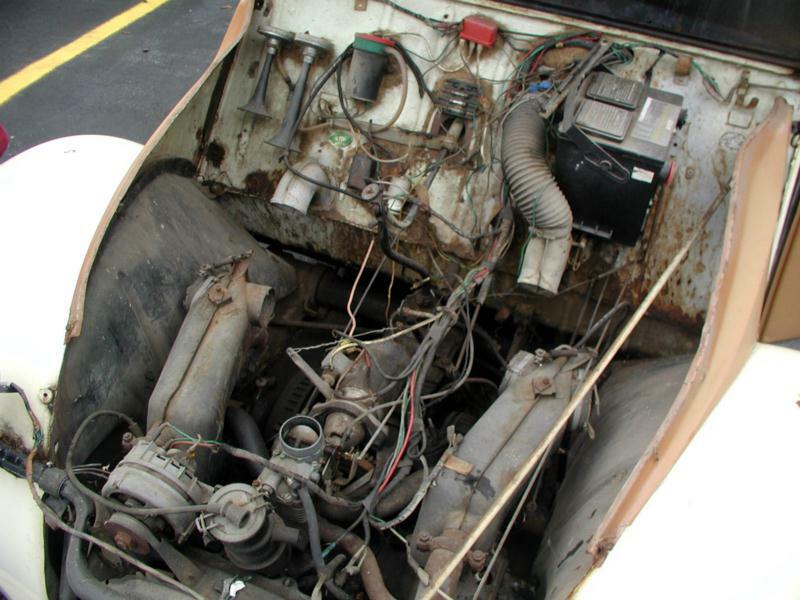 The 2CV’s downside is that the durable engine is tiny; a 375/425/602cc air-cooled twin from 9-33 horsepower. Top speed ranges from 40 mph-75 mph, and there are virtually no hills the car can climb quickly. A radio is pointless given default cabin noise, and just about anybody can pry the car open should they feel like stealing it. Very few Citroen 2CVs were imported into the U.S. prior to 1967 given that they were too slow to be practical for American traffic. Most of the cars on U.S. roads today have been imported privately since then. As such, the status of a car’s title is an important detail. Like most older cars, rust is a 2CV’s main enemy. A wise buyer will make sure their car came from the south and west of France, Spain and Portugal, rather than northern Europe. Check the front axle tube mounts, longitudinal shock mounts and the gas tank area first. On the body, floors, sills, windshield frames – especially around the vent – rear panels above the bumper and fender edges are potentially nasty. Also check the rear bolt area of the front fender, and the headlight bracket support. Replacement chassis were made and these are galvanized, so they’re easy to spot. 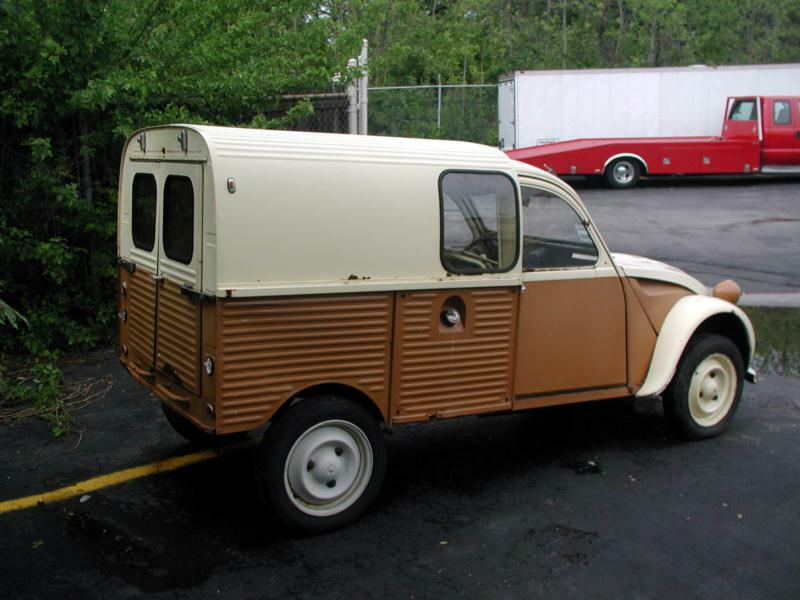 With 3.8 million 2CVs built (not including 1.2 million 2CV-based Fourgonette vans), parts are not problematic, especially with clubs and suppliers present around the world. The one exception can be early trim pieces. Body panels are readily available and easy to install, meaning body work is not as scary or expensive a proposition as on other cars. Pre-1961 models are the most collectible and increasingly difficult to locate. After that, condition and color tend to drive a purchase rather than model year.